150 g Liver paté 1. 1. Roast the toastbread slices and cut each bread slice into hearth shapes. 2. 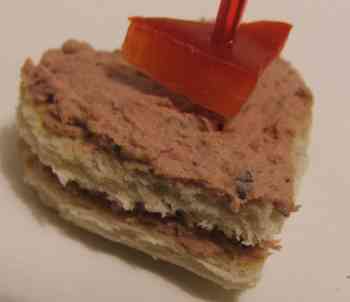 Spread the liver paté on the bread hearts. 3. Assemble the sandwiches with cornichons and toothpicks. I use instead of paté softened butter.